The smile on your face as you leave the salon is reward enough for us, but we don’t think that it’s nearly enough. 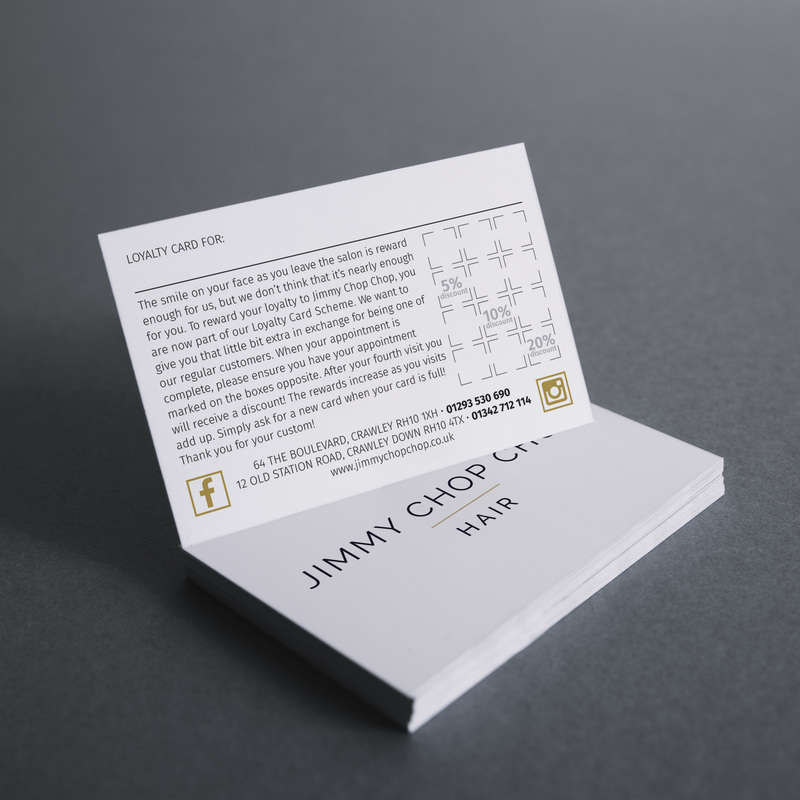 To reward your loyalty to Jimmy Chop Chop we wish to welcome you to the Loyalty Club. We want to give you that little bit extra in exchange for being a regular customer. Everyone is feeling the pressure of the credit crunch, this is our small way of making it just that tiny bit better for you. When your appointment is over, please make sure you have your appointment marked on the squares on the right hand side of the card (each square represents an appointment). As you can see, when you make your fourth visit you will receive a 10% discount! The rewards get even better as you card becomes full. Once a card is completed, simply ask for a replacement! The card is for the named person only and can not be shared. The 10% discount and the free cut and finish offers are valid for one year from the date of the named person reaching the that point on the loyalty card. The free treatment must be the same price or less in value than the cheapest treatment paid for. The free cut and finish can be used in conjunction with another salon voucher or offer, all other treatments must be full paying treatments. All treatments MUST tally with our computer booking system and we reserve the right to refuse the free treatment accordingly.